The name Schweizer is almost synonymous with soaring in the United States of America - and Paul Schweizer is the best known of the three brothers. 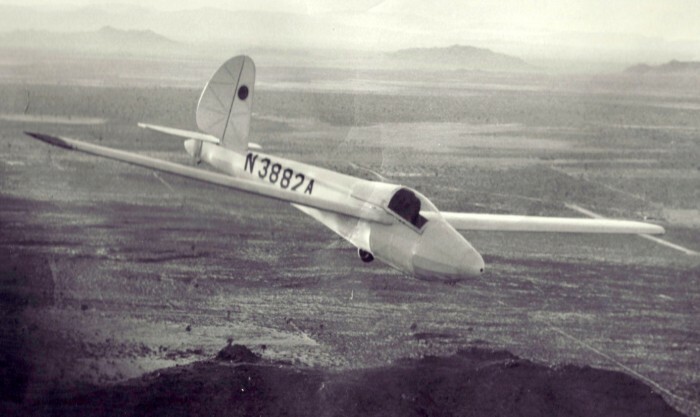 The Schweizer brothers built their first glider in 1930 and taught themselves to fly. They established the Schweizer Aircraft Corporation in Elmira, NY in 1939. As of 1999 the company had manufactured more than 5,700 aircraft. For some pre-WW II years, military training during the war and for perhaps as many as 35 years after WW II, most American pilots received their initial sailplane instruction in a Schweizer glider. Paul, an aeronautical engineer, was also a competition pilot, an author, an ambassador for soaring and much more. In spite of his busy schedule, he took time to respond to e-mails from an enthusiastic new glider pilot just starting out as SSA Governor for the New England area and probably also to many other followers of the sport. The words of Peter Smith, Director of the National Soaring Museum, express somewhat the nature of this giant of our sport: "Paul Schweizer was the soul of American soaring. He was a contest pilot, but soaring was more important to him than winning. He manufactured gliders, but soaring was more important to him than profit. He was an historian, but the future was more important to him than the past. He was a dreamer, but action was more important to him than talk. He was a spokesman, but he preferred to listen. He was an engineer, but he was eloquent. He was wily and wise. And very kind." Paul was born in New York City in 1913, the son of a Swiss Chef who had owned a restaurant in Carnegie Hall. He served the Soaring Society of America for 46 years in many capacities - President, Vice President, Secretary, Education/Training Board and other committees. He was a national and international competitor as well as a world and national record setter. He was the author of several books and many feature articles and the main founder of the National Soaring Museum. He was the originator and avid supporter of the One Design concept. Paul received the FAI Tissandier Diploma in 1958, the NAA Elder Statesman Award in 1984, SSA's most prestigious award the Eaton Trophy in 1988 and again, this time with Ernie Schweizer, in 1953, the Lincoln Award in 1988, the Schweizer Award in 1994, the Exceptional Service Award in 1966, the National Soaring Museum Gold Medal in 2002, the Stroukoff Trophy in 1957 and gave the Barnaby Lecture in 1999 and 2002. He earned Silver Badge #49 in 1945, Gold Badge #39 in 1952, Diamond Badge #104 (Intl #738) in 1969 and the Symons One Lennie #260.